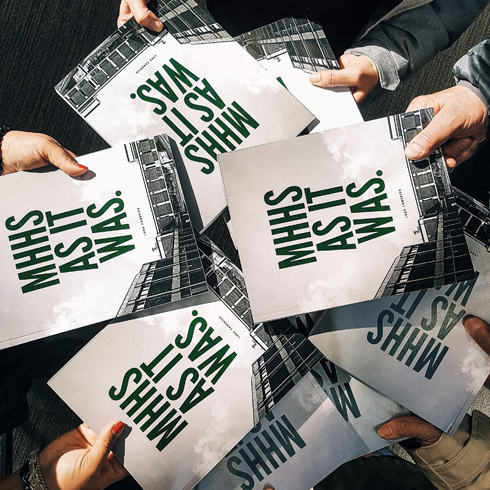 This weekend marked the long awaited release of my photo book MHHS As It Was. After months of work spent putting the book together, several months more of having it printed, and a month of shipments and deliveries, it's with a lot of excitement and relief that I'm proud to say that the book is finally out there and in the hands of all those who first wanted one. 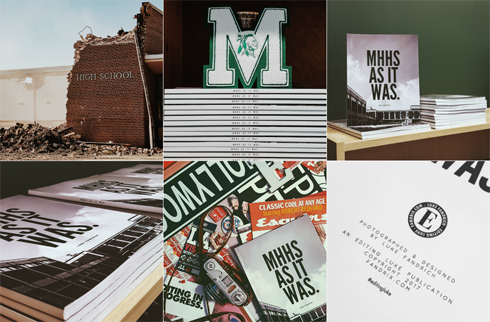 The MHHS As It Was photo book features an exclusive series of images that I shot in 2015 and 2016 of my former high school in Medicine Hat, Alberta. It was part of a thorough exploration I documented of the massive building before the school was modernized and partially demolished in the year that followed. 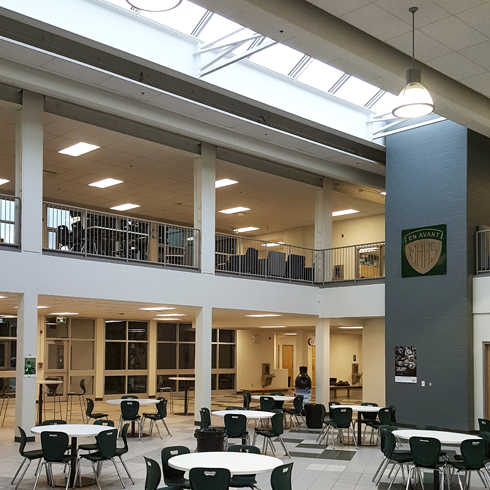 The new high school which re-opened this September has now been completely transformed, turning a series of architectural photographs into a final archival record of where so many of us spent some of our most formative years. Significant portions of the old school had looked (largely) the same since the 1960s, so as you can imagine there were thousands of graduates over the last five decades who shared a connection to this place 'As It Was'. It was with this nostalgia in mind that I set out to create this photo book. Originally I thought I could potentially sell a couple hundred copies to help finance the work that would go into the idea. It's important to note that this book was an original Editing Luke project. 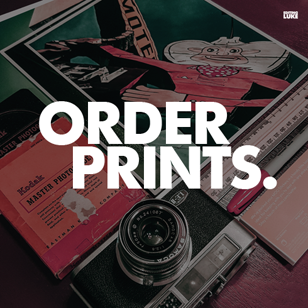 From the photo shoots to the proof and publishing costs to the promotion and pre-order sales, this was an entirely self-financed endeavor and not something that Medicine Hat High School paid me to create. That being said, the school was incredibly supportive of the idea and book from the get-go. To say this project was a success would be an understatement. The response to the photo book, which was promoted exclusively through the Editing Luke website and social media channels, sold over 1000 copies while in pre-order. To put it another way, I had already sold all of my available stock before the boxes of books had even started to arrive from the publisher. For a local project as specific as this, one that people hadn't even been able to flip through the pages of yet, that was an incredible (and totally unexpected) achievement! Orders for MHHS As It Was came in from across Canada and the United States, and were even shipped as far away as Australia. This weekend marked the final stage of the release where local pre-orders from all over the city were picked up in the brand new Medicine Hat High School. With nearly 300 people coming through the doors on Friday and Saturday to get their pre-ordered books, it was an amazing opportunity to hear stories, sign a few copies, and even cross paths with some of my former grad class. To sum up the entire experience is difficult, but in a word it's been humbling. The support, the feedback, the number of copies sold, etc. have all exceeded the expectations I had for this project and I'm incredibly thankful. Really, thank you! 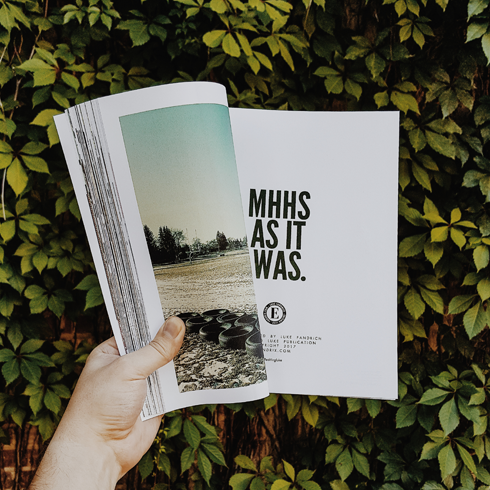 If you'd like to get your hands on one of the limited edition copies of MHHS As It Was the last several hundred books are available exclusively at Medicine Hat High School while supplies last. The books are $30 each and can be purchased in the main office or school store. They make great gifts, and are sure to have you reminiscing about stories you haven't talked about in years.